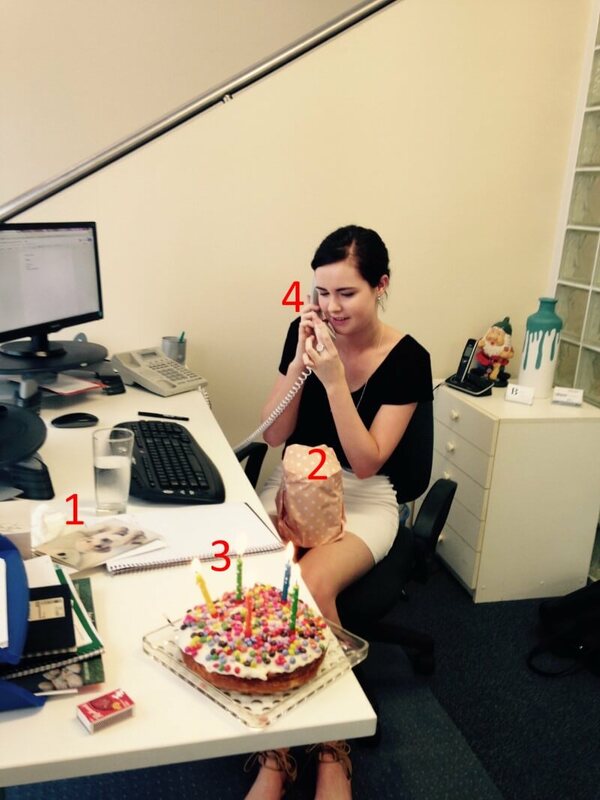 Shanae, our Receptionist and social media guru, turned 19 on Monday so we had a little cake for her. Looking at the photo Jo took, I saw that we have probably Australia’s most dedicated employee. That is serious dedication and self control! Nice work and happy birthday Shanaestar!